Gallic Books, who offer “The best of French in English” as their motto says, has graciously mailed me two novels. Thanks Gallic Books, I really appreciate! I recently reviewed The Hurlyburly’s Husband, here is now The Man With The Lead Stomach, to be released next week! Most of the book is set between Oct 23 and Nov 14, 1761. Nicolas is a young police commissioner at Le Châtelet. Sent on duty to the Paris Opera to watch the audience, with one thing leading to another however, he happens to be one of the first on the scene of something that looks like a suicide. But not unlike Monk, for those more acquainted with modern detectives, he is smart and has a lot of intuition. Small details he notices right away, but that will be only little by little revealed to the reader, tell him Vicomte de Ruissec’s death may have some more complex and hidden reasons. If the book starts like a rather simple mystery, it actually gets more and more involved and complex, both for Nicolas and the reader. It is the occasion for the author to plunge twenty-first century readers into the intricacy of the French society in the 18th century, a few decades before the French Revolution. There are so many power struggles at stake, at Court, in the Church (especially here for the Jesuits), and also among rich families. And people may not be as honorable as they seem. All the signs were that the mystery was considerably deeper and more complicated than anything that Nicolas might have imagined. You can get great glimpses of life at court with King Louis XV (1710-1774), one of his daughters, Adélaïde, and his famous mistress La Pompadour, and of course the inevitable intrigues and jealousies. Bear in mind this is also the time when the King is getting rather unpopular and there are several threats on his life. Expect conspiracies! All these people, shimmering in silk, waded through dirt. There was a disconcerting contrast between their luxurious clothes, and the foul-smelling remnants of wax, earth and horse droppings with which they were soiled. Trapped in the middle of this throng, Nicolas felt his usual disgust at the mixture of odours filling his nostrils. The stench wafting up mingled with the smell of face powder and poor-quality candles but still did nothing to cover up the sourer and more obtrusive smell of unwashed bodies. Some women looked on the point of passing out and were frantically waving their fans or sniffing perfume bottles to revive themselves. I similarly enjoyed a passage on page 121 describing the dangers of horse and carriage traffic in Paris! You can feel and smell as if you were there! But there are also delicious passages on food and recipes! The mystery becomes also more and more gruesome, as dead bodies seem to multiply. The title may give you a hint you have to prepare for some rather graphic details, not for the squeamish. What really makes this mystery great is its ambiance. And how small details are only very gradually revealed. As the suspense grows, you delve deeper in the murky and filthy waters of the time. I believe the translator did an awesome job. In fact, no passage in the book made me aware that I was in fact reading a book in translation. VERDICT: This suspenseful and atmospheric historical thriller is not always easy to follow. It will be highly rewarding, however, if easy superficial mysteries are not for you, and if you are interested in knowing what French society looked like a few decades before the French Revolution. 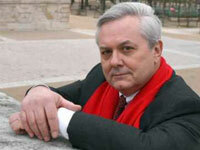 He is the author of the Nicolas Le Floch mysteries, which take place in eighteenth century France. The novels, beginning with The Châtelet Apprentice, have been adapted as a successful TV series shown on France 2. Read an interview with Jean-François Parot. If you can read French, this website on the whole series is really fantastic, with lots of extra documents. 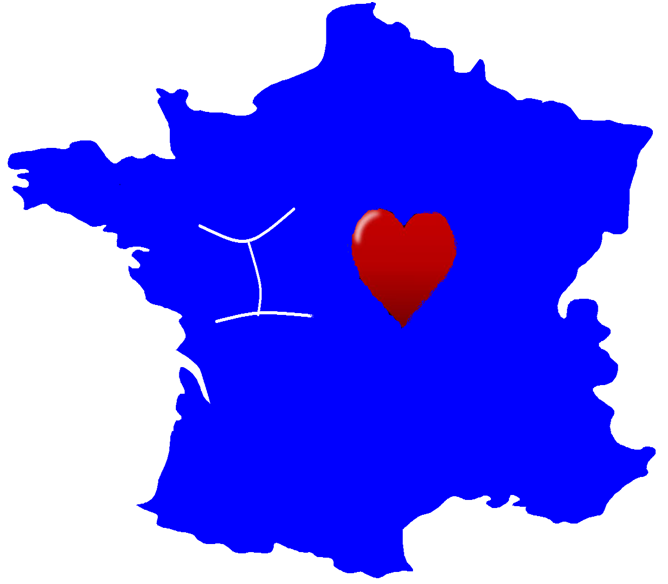 You could also read the judgment against Truche de la Chaux! SET AT THE TIME OF LOUIS XV? 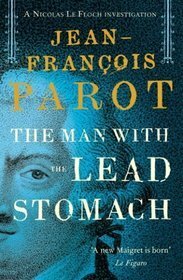 This entry was posted in Historical novels, I Love France, Mysteries, Quotations, Reading Challenges and tagged Gallic Books, Jean-François Parot, Louis XV, Nicolas Le Floch, Pompadour by WordsAndPeace. Bookmark the permalink.